This meet-up with my Tweet Hearts was a long overdue plan. Patty and I have always wanted to meet up but unfortunately, I was so poor back then that I only use @tweetitow to send my tweets. Which means, that I will have to read my tweets the moment I arrive home. 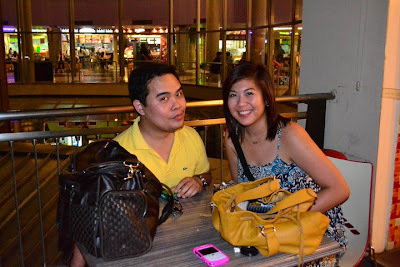 Kym and Patty are Terj's friends from their lovely place in Rizal. I used to think that Patty is Terj's cousin but I've learned that they are not and that they are also bound by common friends and cousins. Since Kym and Patty are best friends, I eventually became friends with Kym. I also learned that Patty and Kym were not classmates in High School. Patty was one year older than Kym. You'd think that they are classmates because they are so close to each other. 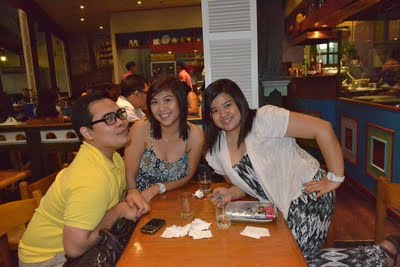 We finally had the chance of meeting up, when Kym and Patty decided to visit me and Terj in Makati. Unfortunately, they had to meet Terj on a different time because our schedules don't jive at all. Terj was on-duty from 2pm to 10pm while I get off at 4pm. The moment I got from work, I changed into my work clothes and went to Greenbelt 3 to meet up with the girls at Cafe Breton. 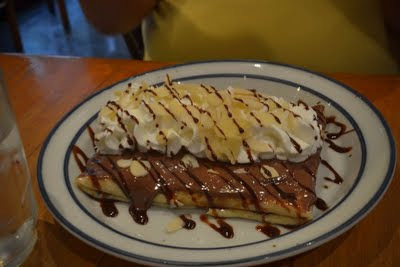 To those who are not quite familiar with the place, it is the best place to feast on crepes. Since I wanted to smoke and coffee seemed to be the best partner for it, we went to The Coffee Bean and Tea Leaf. However, I have been scavenging on my bag and I couldn't find my cigarettes then I realized that I must've left it at Fuma. And it was true! I left it there. The lost cigarette brought us to our next stop which was at Red Mango where I savored the flavor of yogurt. Thanks Patty and Kym for the tweet up and the Le Magnifique!!!! See you soon and I hope you enjoyed your trip to Jakarta! NB: All photos were taken from Patty's album and taken by Patty and the waitress at Cafe Breton.